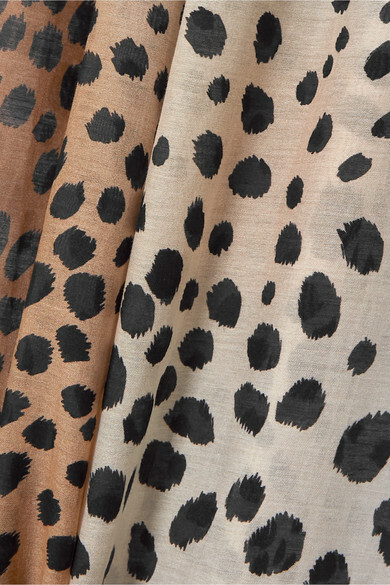 Animal prints are huge this season. 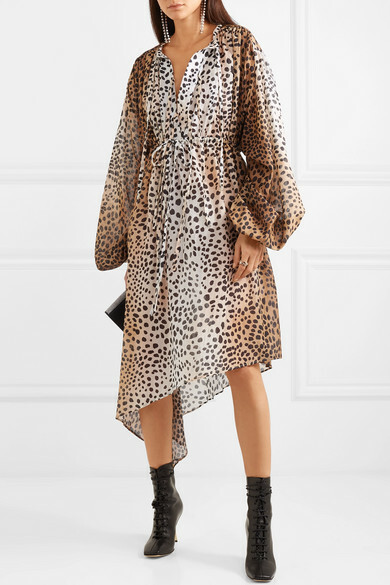 Patterned with dégradé-effect cheetah spots, Christopher Kane's cotton and silk-blend poplin dress is cut with voluminous balloon sleeves and a draped asymmetric hem. Define the loose fit by drawing in the waist ties. Shown here with: Alexander Wang Shoulder bag, Petar Petrov Ankle boots, Christopher Kane Earrings, Jennifer Fisher Ring.